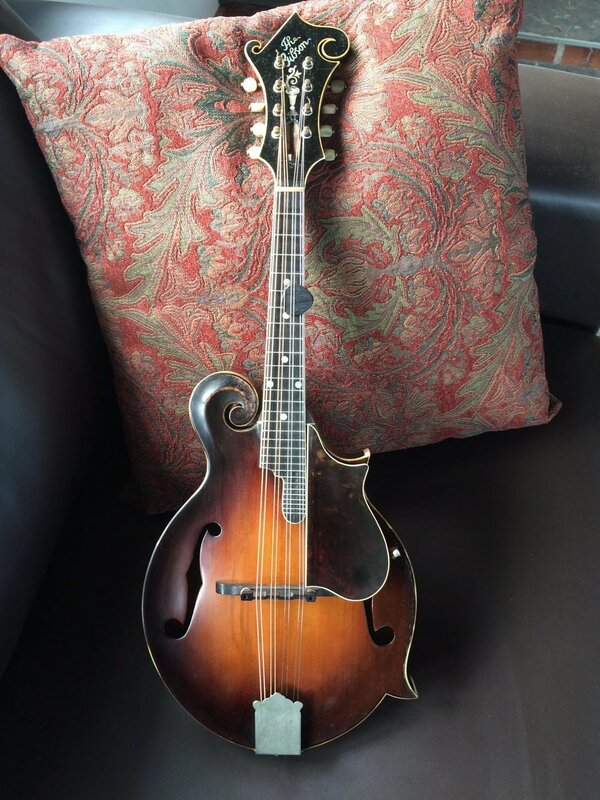 Signed on June 1, 1922, six months before the first November 28 signed batch of Master Model instruments, #70281 is considered to be the prototype F5 and the first Lloyd Loar signed instrument. 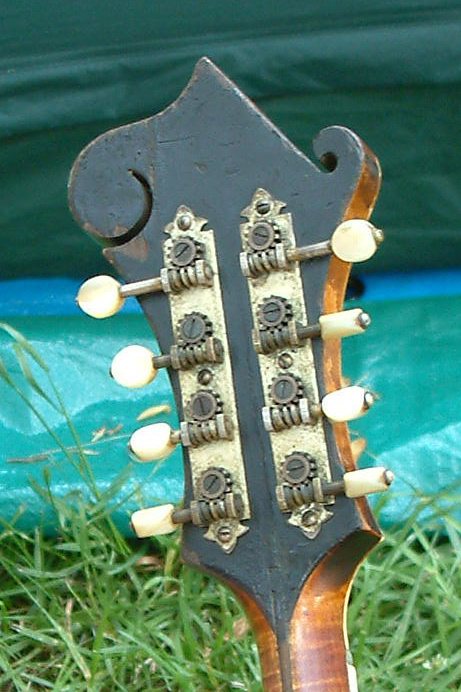 A unique and somewhat over engineered pickguard fastening bracket that is threaded through a hole in the soundboard, exiting on the side of the rim. The pickguard itself is bound with a very thin .040" ivoroid instead of ivoroid/black/white seen on later models. 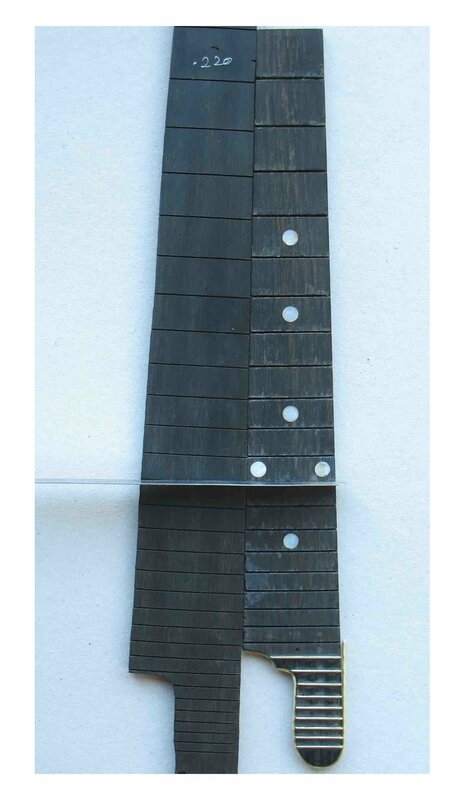 Likewise, the body is bound in a two ply .070" ivoroid/ .030" black only binding - as the A-2Z model of the same period. The heel cap area of the back has the same raised voluted ridge as seen on the F-4 and other oval hole models that preceded it. This feature is only seen briefly in production in the first Nov 28, 1922 batch. 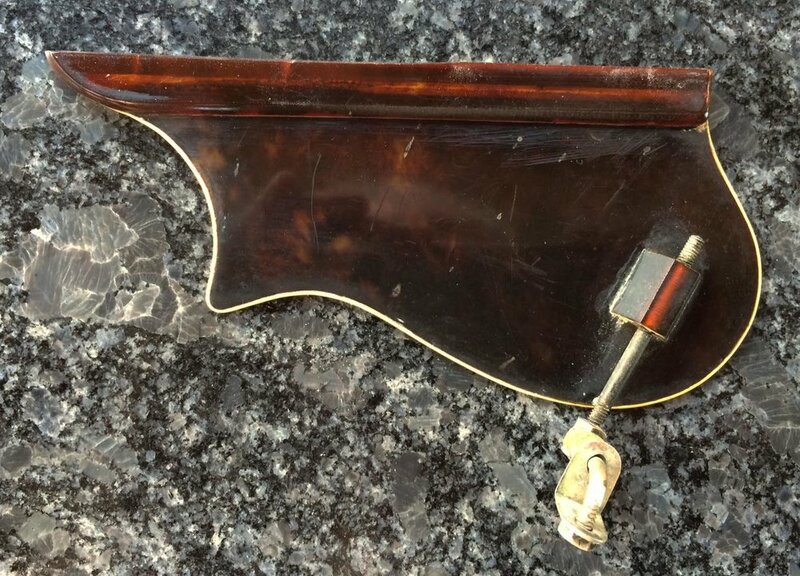 The colour also appears unique to this instrument with a redder hue compared to the standard cremona brown and overall darker than the lighter and less common tobacco brown. 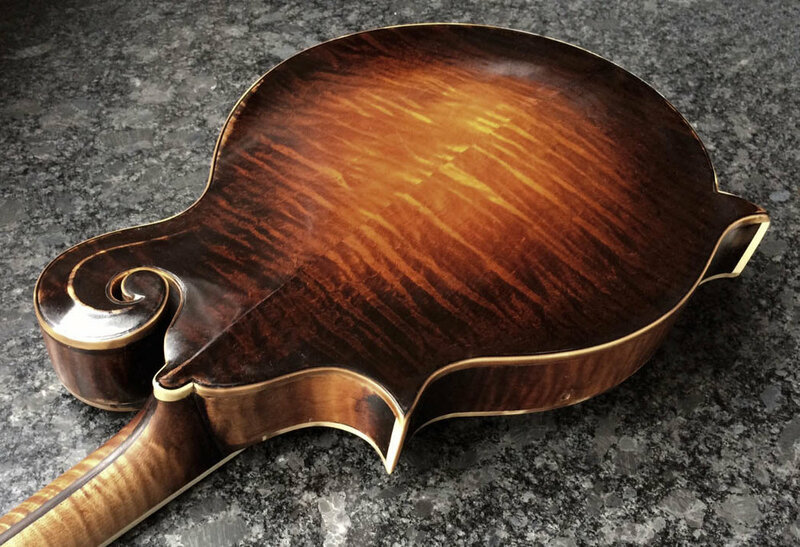 The other noticeable difference to most Loar signed F-5s is the size of the soundholes. They are a little narrower, resulting in a lower air frequency of the body and contributing to the warm and powerful bass response of this instrument. Structurally it is very accurate to the design department spec sheets that guided the new model. 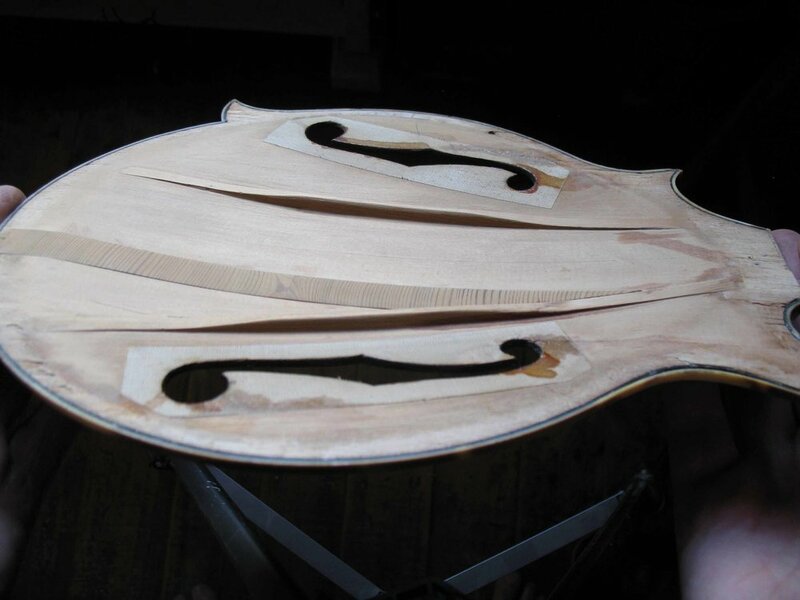 (see pics below) The only visible variation internally to all later models is the shaping of the tone bars which are scalloped more like a typical violin bass bar profile instead of the long even taper of later models. (see pic in gallery).